Happy New Year! I hope everyone had a wonderful 2013 and I hope 2014 is filled with lots of love, happiness, and health! My resolution for 2014 is to lose this baby weight once and for all! I joined Weight Watchers at the beginning of December (yes, I am crazy for trying to diet during the holidays) and I’m excited and motivated by the weight I have lost so far. 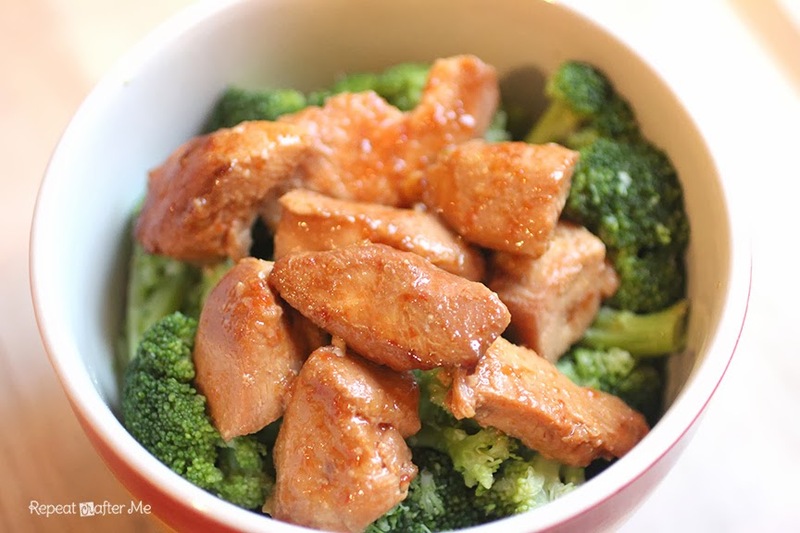 I am eating better and finding new, healthier recipes to try. So over the next month or so I will be posting healthier crock pot recipes with the Weight Watchers points values as well as other nutrition facts. 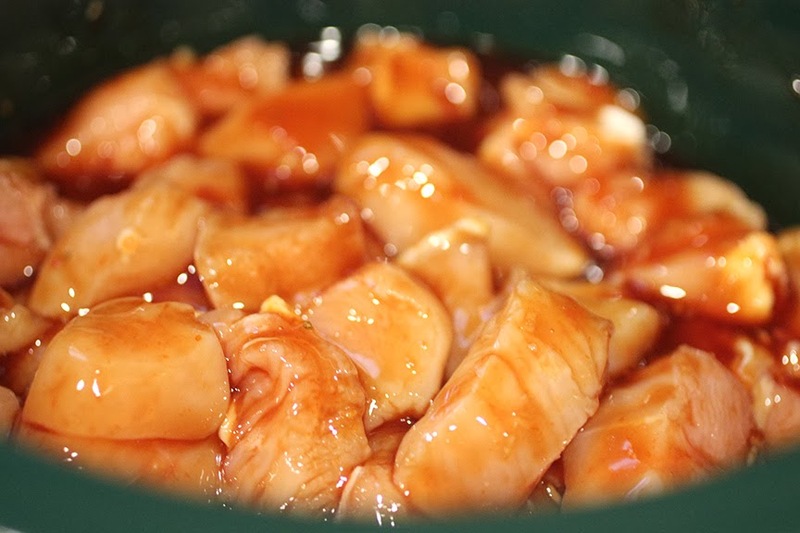 I am starting by sharing this simple crock pot honey garlic chicken. 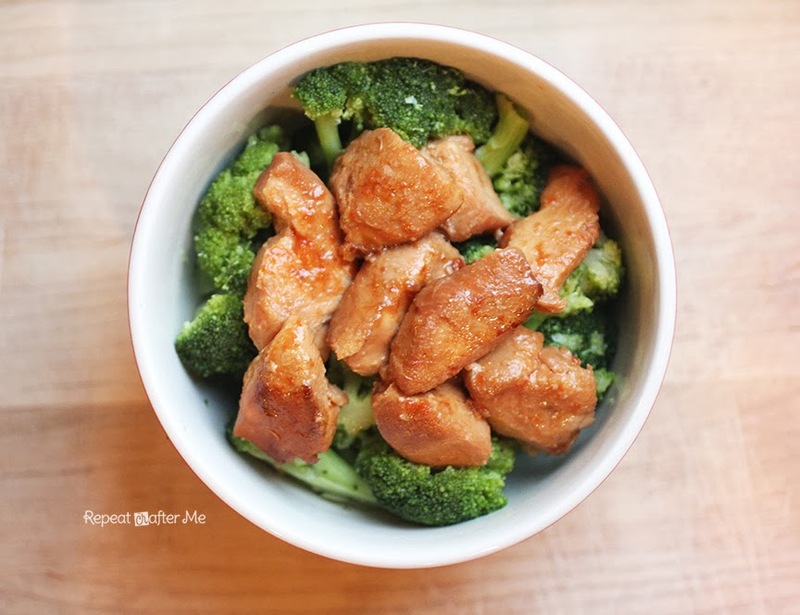 Pretty easy to throw together and great over a bed of broccoli or brown rice. I used THIS recipes as a starting point. 1. Put chicken in slow cooker. 2. Mix all other ingredients in separate bowl. Stir well. 3. Pour mixture over chicken. Try to make sure everything is coated with sauce. 4. Cook on low for about 4 hours (if chicken is cut up), or 5-6 hours on low if chicken is whole. Or on high for 3-4 hours. Don’t over cook or chicken could dry out. *This recipe is not endorsed by Weight Watchers. I personally calculated the nutrition facts and PointsPlus value. Looks yommy! Hope you have a great year too–let's get together soon! Hello Sarah, I bought a crockpot last year and I love using it but I have very few recipes. I have a favourite recipe I am comfortable with which is beef in beer and it has become the recipe I use most often. Well done on your WW program so far and I look forward to seeing what else you come up with to give me some ideas of getting the most out of my crockpot. Wow, sounds delish!! I'll have to pull out my crockpot! I've been wanting to use it more and this is a good place to start! I just made this tonight for supper! (I am not on a diet but looked too good to not try it.) it was DELICIOUS! YUMMO and oh so easy! What a great recipe! this was really good just made it last night great flavor !!! this past weekend I made the corn chowder and it was a huge hit at our house !!!! You look awesome! I joined online but haven't done anything with it yet. I needed motivation and you have motivated me. Maybe I can share a success story. I love your blog and your recipes and crafts. Thanks! !